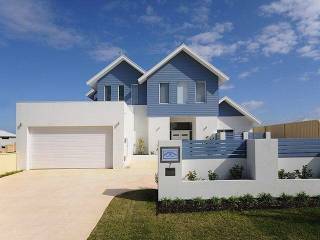 Very large 4/5 bedroom by 2bathroom house sleeps 8-9 located in Butler, walking distance to the station and nearest supermarket, good schools and other facilities and in the northern suburbs close to Joondalup. Open plan kitchen/dining/family/sitting/TV room which leads to a large undercover, alfresco area with outdoor setting and gas BBQ. 3/4/5 (study) bedrooms have 5 x king single beds and 1 x single bed. All double bedrooms. All linen and bath towels supplied, tel and wifi internet available. Prices may change based on high/low season, please enquire for an accurate quote! HOUSE RULES AND OTHER PROPERTY INFORMATION WILL BE AT THE PROPERTY. PLEASE NOTE: Money will be deducted from the Security Deposit. At the end of the stay, there is a final account which is for the vacate clean, the weekly allowances for gas/water/electricity, telephone calls and any damages or other costs incurred during your stay. This is deducted from the security deposit and if there is a balance remaining this is then refunded to you about 45 days after the end of your stay. But if the final account is greater then the security deposit then you will invoiced for the amount Outstanding. All this will be outlined, when you pick up the keys and sign the Terms and Conditions for your stay. We trust you will have an enjoyable and restful holiday. Thank you for staying with us, please observe the following information. the following conditions of tenancy must be observed. We trust you will have an enjoyable stay with us. Please observe the following information regarding a stay in one of our properties. The guest accepts that we have described the property to the best of our ability within the limited extent of the communications between the guest and ourselves, and covers whatever property one stays in , including if an alternate property is stayed in as the one booked is not available for their booked stay. If such occurs, even if the alternate property is more expensive the cost remains the same. Should the guest consider the property (including alternate) unsuitable in any way, we shall not be held liable and will not accept responsibility for any alterations to the property beyond our control. All information contained in the facebook page is believed to be correct at the time of input but is subject to change without notice. 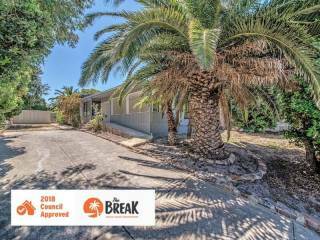 Once booking is accepted the booking cost including the security deposit is payable upon receipt of invoice, failure to do so will delay access to the property.. The booking can be cancelled at any time prior to the deposit/or any monies being paid without any cost. If the deposit and or all of the booking cost have been paid and the client wishes to cancel the booking or vacates prior to end date of their stay, there are no refunds other than for security deposits and cleaning fee paid if cancelled prior to booking commencing and also for any replacement booking/s secured and paid for any part or all of the period booked . Under certain circumstances a credit may be issued and can be used towards any future bookings with us in this or any of our other properties. Please ensure you take the correct insurance. Any security deposit paid will be refunded within 45 days of the end of the stay after deducting any costs for vacate clean (min $60) and any other costs/damages incurred during their stay. If a booking was cancelled prior to the booking commencing, that will be refunded in full. Tenancies commence 15.00hrs on the day of arrival. Departure shall be on or before 9.00am on the departure date. Departures after 9am is deemed to be an additional day stayed. Please request earlier check in time we will do our upmost to assist with your request. Check in and Check Out times must be strictly adhered to. Other guests may be inconvenienced if they have to wait to check in. Any variation must be noted in writing by us. Number of House Guests Allowed, Pets & Smoking. Under no circumstances may the number of house guests at the property exceed the maximum guests as stated in the website, unless agreed to, or that number which is stipulated on the invoice. Should these conditions be disregarded, the tenant shall be charged another 50% of the rental value. The guest is liable for all and any costs incurred to restore the ambience of the property. Pets (dogs) are not permitted on these premises. The guests are responsible to take all reasonable care of the property during the stay. All equipment, fixtures and fittings will remain on or in the property. Any furniture moved during the stay plse move it back where it came from. If any breakages or damages occur, please advise us as soon as practical. Any breakages and damages caused during the guest’s occupation will be charged to the guest at the repair or replacement value unless considered to be normal wear and tear. Please ensure the oven, fridge & kitchen are left in the same condition as arrival, as that incurs additional vacate clean costs. The tenant is aware that any property left in or around the premises at vacation shall be removed. If any of the above conditions are not strictly adhered to, we reserve the right to forfeit part or all of the security deposit monies held over and above any deductions taken as per above. Guests are not permitted to do anything on the premises or permit someone else entering the premises with their permission to do anything on them that causes a nuisance. E.g: a noise that disturbs the neighbors. Complaints by neighbors will be acted on and may result in immediate termination of the booking and vacating the property with forfeiture of full rent and security deposit. We would also expect that only the guests stipulated be on the property and no group gatherings will be allowed except with prior permission from us. Guests are required to make every effort to contact us should there be a problem. Please allow minimum 24-48hours for issues to be resolved, especially if a weekend re being able to get tradespeople . We will do our upmost to ensure any problems are dealt with as quickly as possible.